noun: A short description of a creative work, such as a book, film, etc. used for promotional purposes. verb tr. : To write a brief description of a creative work. 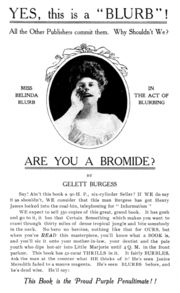 Coined by Gelett Burgess (1866-1951) for promoting his book Are You a Bromide?. 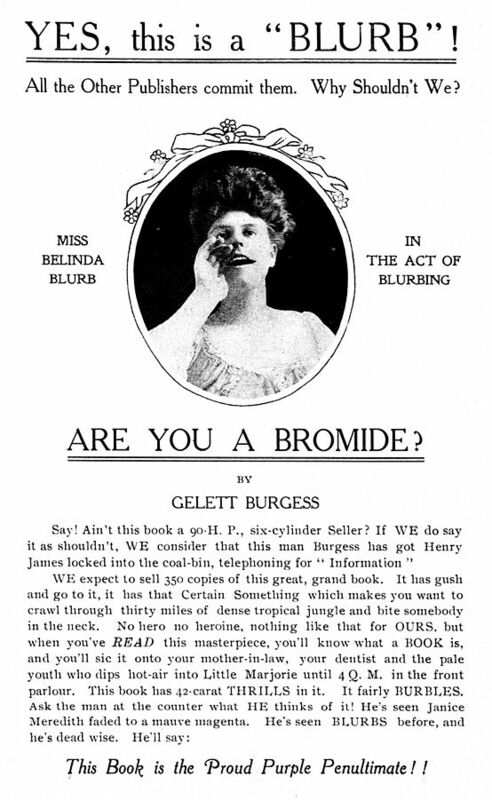 The dust jacket of this book featured a Miss Belinda Blurb singing its praises. Earliest documented use: 1907. Sarah Murdoch; Arrivals; Toronto Star (Canada); May 19, 2018. See more usage examples of blurb in Vocabulary.com’s dictionary.